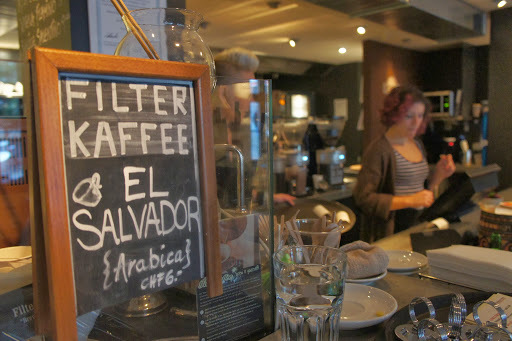 Today we’re going to take you to a special place in Zurich, where you can feel the rhythm of coffee. Yes, I’m talking about Henrici. 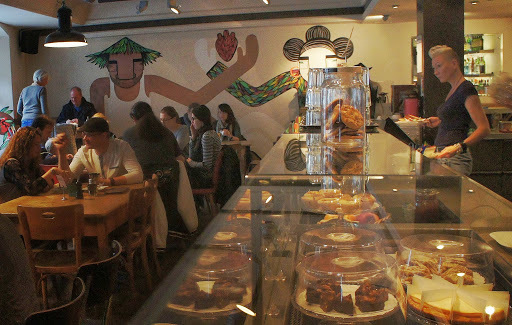 This is a specialty coffee shop, a vegetarian restaurant and a live music club, which appears to be a pretty good combination, now let us tell you why. 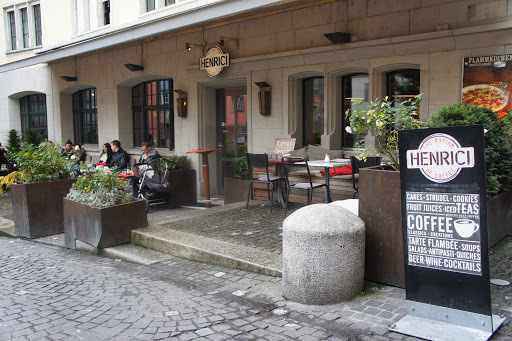 Henrici opened for business in the summer of 2009, and since then has “educated” Swiss people in drinking good coffee. Of course, the beginning wasn’t easy – heavily influenced by the specialty coffee scene of San Francisco, the siblings Olivia and Tito Huber along with their team, had to clearly distinguish themselves from competition and show customers what happens when coffee is handled with care. Hard work, dedication and passion for coffee – these are just a few of the values each of Henrici’s team members embodies. And an interesting fact I stumbled upon is that it is the same Tito Huber that is one of the organizers of the TNT, the venue hosted the second edition of the competition in 2010. Every Tuesday night Henrici turns into a live music club, now famous for hosting great gigs. At first there were mainly local bands, but now artists from all over the world come to play. 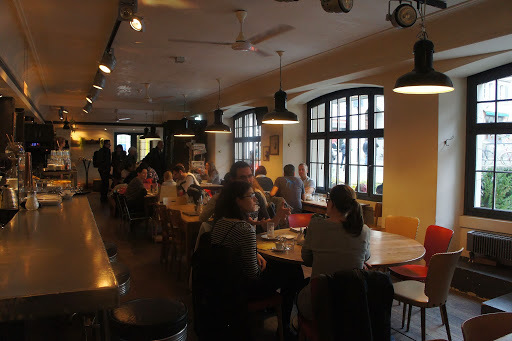 If you’re not that into nightlife then be sure to stop by Henrici for a lunch – I recommend the flammkuchen – mm, delish! 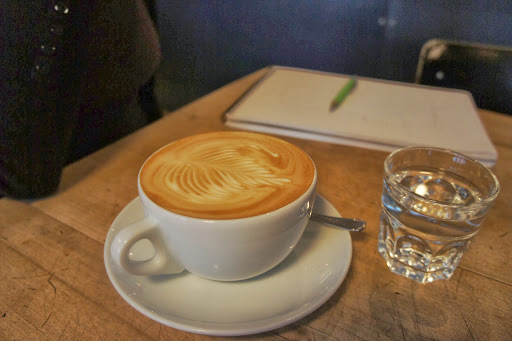 When I visit Henrici I usually order a latte…almost every time. I can guarantee you, this is something you’ve never tasted before. As you can see from the photos, every single latte is a piece of art and this is usually enough to be sure of the quality, not to mention that it tastes like heaven! 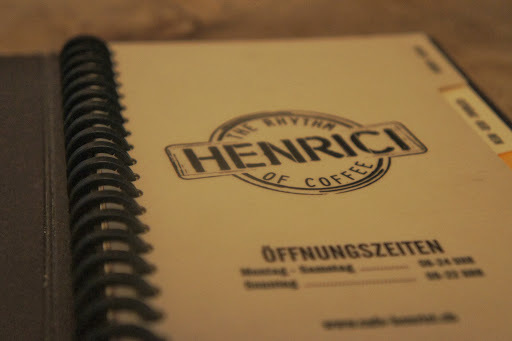 When the three of us went to Henrici, Snehaa and Karla had lattes(cause I was talking about it all the way!) and they weren’t disappointed at all. 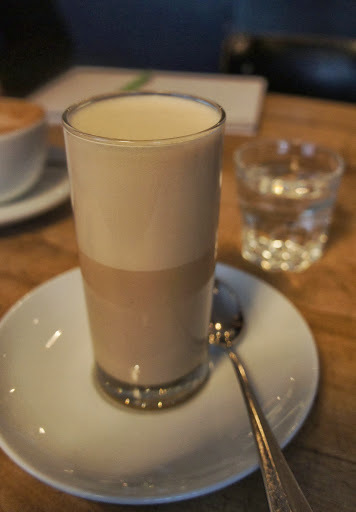 I had a galao (Portuguese latte) – espresso and milk steamed together. It was delicious, nevertheless I can still see the latte coming next time. 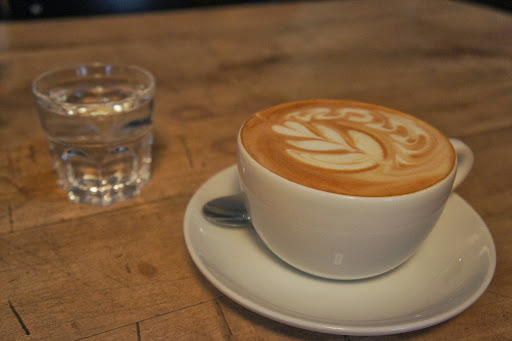 As for the coffee beans, Henrici works side to side with Rast Kaffee, uses their blends, but have created a special Henrici espresso blend (which I’m eager to try, when I’m not on my latte diet). There are also alternative brewing methods on offer as siphon or pour over, so if you’re feeling adventurous go ahead, in Henrici nothing can go wrong!